I. What is IT Outsourcing? What’s a managed service provider – and why should I care? Outsourcing used to be just about being cheap. Today, there is a whole host of benefits and features associated with outsourcing information technology services – and cheap might not even make the list. Deloitte defines outsourcing as “…the contracting out of a business function to an external supplier, involving the transfer of people, processes, and assets.” There is a host of business services available today under the outsourcing model, but Deloitte generally categorizes them into two key industry subsets: IT Outsourcing and Business Process Outsourcing. Of all the services outsourced today, information technology has grown into the most complex web of global products and services — and it is still evolving. Given the increasing impact of technology on our businesses, it’s almost certain that at least a portion of your current IT infrastructure is outsourced. Today, IT outsourcing is called “managed services” and, as an industry, it’s the hottest thing since the Internet. A report by Markets and Markets says the managed services industry grew to $145.3 billion last year. It’s predicted to hit $242.5 billion by 2021. Managed service providers offer a kind of technology subscription service. Providers range from dabblers in stand-alone applications like CRM software or email hosting to large MSPs handling network architectures for some of the biggest enterprise organizations in the country. To put things in perspective, the Internet was the original outsourced IT service. Businesses that put their trust in the cloud today are leveraging a complex architecture of services encompassing application development, data centers, maintenance, security, service desks, and voice data applications. The business (customer) leases or owns the hardware. Hosting may occur on-site, through the cloud, or in the managed service provider’s data center. Monitoring is typically remote or could be on-site. Basic services include network monitoring and cloud-based upgrades to security, disaster recovery, data storage and document management, help desk, and more. Cloud technology has helped MSPs evolve in managed service consultants, that are increasingly called upon to help with strategy development. To understand managed service providers, you must also understand the three primary cloud-based service models and the acronyms tied to the “as a service” phenomenon. SaaS versus IaaS versus PaaS – what’s the difference? This is the largest cloud-based market for managed service providers. SaaS leverages the Internet to access software that traditionally required costly on-premises installation, upgrades, and maintenance. A good example of SaaS is the Microsoft 365 suite of office applications. SaaS is characterized as a subscription software application that requires no download or installation to use – although you may need a plug-in. With IaaS, your hardware is virtualized; subscribers plow through the Internet to store files on a distant server or host their website in the cloud. Physically, the hardware is spread across a multitude of networks, which are maintained by the managed service provider or the IaaS vendor. A good example of IaaS is Amazon Web Services, which allows you to build a virtual infrastructure in the cloud. PaaS are full applications available to users for a subscription. They typically offer a self-service portal where you can administer and customize the platform. You can use the PaaS product strictly from the ‘net’ or you can access it via hybrid models that utilize on-premise installations as well as the Internet. To put it another way, the PaaS is middleware; you can program its functionality and build web applications but the PaaS managed service provider maintains it. A good example of a PaaS is Microsoft Azure or Salesforce. MSPs now offer a veritable smorgasbord of outsourced IT services. These can be in the cloud, on-premise, or a hybrid model encompassing both. The newest model we’ve found is Security as a Service, which is exactly what it sounds like. Given the increasing security threats today, this is a service that should take off. Each of these categories also can offer assessment, strategy consulting, support, and maintenance. In addition, these services can also be divided by the type of industry serviced or the size of business (small, medium, or enterprise) the MSP targets. Keep in mind this is a young subset of the IT industry; managed services have only been around for 10 years. Did you know Amazon Web Services was launched with some simple outsourced cloud storage solutions in 2006? What the managed service provider industry was back then was nothing more than a foundational stepping-stone. What IT outsourcing is now – and what it will be in the future – will change. Your employee caught a virus. We’re not talking about the flu; we’re talking about a lack of education around software best practices that put your business at risk for malware. When was the last time your IT team held an informational training on safer computing? Are they too busy running the network to take on training, education, or other mission critical or strategic initiatives? It might be time for a managed service provider! Small businesses rarely have a technologist on the team. Small business owners may be doing it themselves or relying on an on-call IT geek for help. That may be fine for a while, but if you’re planning on growing your business, a managed services provider is a monthly budget expenditure that can manage security and scale your network up (or down) when you need it. You can’t remember the last time you ran a backup. A backup is like a foolproof insurance policy for your data. Malware hacker attacks such as the recent WannaCry Ransomware attack are on the increase. Security Magazine says regular backups are still your best defense against hacker viruses seeking to destroy your business. Your network logjams and your staff complain your computers have three speeds: Slow, slower, and slowest. It might be time for a managed service provider to do a network assessment and workflow analysis to ferret out the root causes of network latency. This process will help your team improve the productivity of your basic business functions. The continual proactive management of the network will help troubleshoot issues before you ever experience the problem on-site. Your current IT team is too busy managing the current network to take on a new initiative. See number one. The reality is that most of the time the managed service provider does not replace an IT team, but instead forms a partnership that takes the most routine server and network maintenance tasks off the plate of your very busy internal teams. This frees them up to take on a strategic task or big project. CompTIA’s 4th Annual Trends in Managed Services survey showed that 69% of CIOs who switched to some form of managed service met their cost savings expectations in the first year. Managed service providers have multiple redundancies built into their networks. Outsourcing the daily monitoring of your network is a smart idea if you would like your internal technology staff to take on a new strategic deployment. The biggest cost to maintaining an internal IT infrastructure has always been the equipment. Responding to machine depreciation can virtually break the budget, particularly for the small to mid-sized business. If all or part of your outsourced IT services is in the cloud, you won’t have to wait for the “IT guy” to come on site and upgrade to the latest software version. This is crucial not only to your daily functions but an important first step in any disaster recovery plan. 24/7/365 network monitoring will help keep your infrastructure secure as new security threats emerge. It will also help spot trouble before it escalates into downtime. Your MSP should manage your network to near perfect uptime levels. This is the industry standard that you should expect. Managing to all of the digital devices we carry is a crucial part of IT outsourcing. Better more up-to-date technology, 24/7 monitoring, regular back-ups – these are all ways to reduce your risk and they are all a standard part of a managed service provider. Just like when you had to wait for the IT person to show up on site, sometimes you have to wait for service to occur in an IT outsource situation, too. It happens because the managed service provider is not completely dedicated to your business. If you don’t do needs assessment at the beginning of the process, you may end up paying too much for things you don’t need. As your infrastructure expands with your business, it is possible to lose a basic understanding of your network and how the various components interact. In an era of the Internet of Things, we are not going to tell you migrating to the cloud is without risk. We can tell you that technology experts remain one or two steps ahead of hackers. 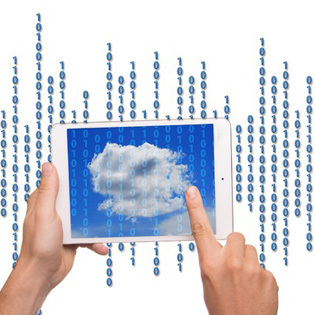 Today, even the largest of enterprise organizations trust their encrypted data to the cloud. Cloud hosting allows business to be conducted from wherever you have the Internet. Allowing a best-in-class service to manage this function will ensure your business remains competitive. E-commerce is a complicated undertaking. Fortunately, SaaS providers and managed hosting services can design a site that can handle heavy traffic, and work smoothly to keep the orders flowing. Network infrastructure outsources the really expensive stuff – hardware, servers, and network frameworks. This is one area where IT outsourcing will pay for itself. Security should entail a continual process. One of the many benefits of a managed service provider is their ability to monitor your network for threats and stay on top of the latest malware. When it comes to IT outsourcing, there are multiple services and managed service provider choices. However, each partnership should begin with five crucial steps toward establishing a winning long-term relationship with your managed service provider. First, conduct a complete assessment of your IT infrastructure. Identifying the strengths and weaknesses, and the current climate that led you to interview the MSP will set the stage for a needs analysis defining your overall IT strategy. Second, offer suggestions for improving the network infrastructure, security, or workflows. Having your managed service provider share their insight, especially after having worked one-on-one with a variety of businesses, will be very beneficial to you. Third, set realistic expectations for what is required and what is being delivered. Read the MSP contract carefully to ensure that the service plan will meet all the needs you’ve discussed thus far. Clearly communicating expectations between the IT consultant and the client are extremely important to ensure a successful overall experience. Fourth, make sure your provider shares complex IT concepts in a way that is easy to understand. Translating technology-speak into clear business terms that your team can act upon is crucially important. Fifth, develop a roadmap toward an improved IT infrastructure. Planning the migration of data to the cloud, determining in advance how technology will support your business, or even, creating a roadmap for the expansion of your business to include e-commerce, should all be part of this process. Being clear about your expectations and goals will help achieve the best results from your managed service provider. We recommend engaging your internal stakeholders early in the process in order to encourage their buy-in to this transition. This is particularly important if the MSP is enhancing your current technology team. It’s also crucial if you are adopting new SaaS products or making other technology changes. Will we have a dedicated account manager or someone new every time we call? Do you outsource your help desk? Is your help desk a dedicated team – or will we hear from someone who is also in the field? You should expect 24/7 support and they should monitor your network constantly, as well. Do they have a continually running network operations center? Is this a cookie cutter service or can it be customized to suit my individual business needs? Like any services contract, it is crucial to understand the limits of your agreement and the costs of extending beyond standard services. Can your managed service partner dispatch on-site help if you need it? Regular network audits can be important for compliance and for your own information. Does the MSP offer these reports and how often? If you’re ready to start exploring IT outsourcing don’t hesitate to include TOSS C3 in your inquiry process. For more information on managed service providers download the white paper: Managed IT Services For Small Businesses today.